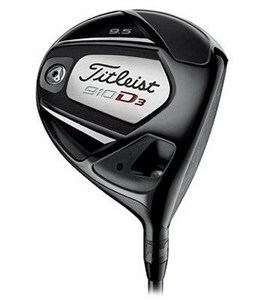 Everything about this driver screams playability. It is designed for elite players who want to work the ball, not pound the ball. The head is a petite 455cc, and the hosel is Titleist's patented "SureFit Tour" technology, which offers two different angles to adjust your loft and lie for the best fit. There are some devices built in to give the playable driver a little pop. The face has an insert that increases the ball speed and weight as been moved lower for a profound deep center of gravity, which adds stability and a penetrating ball flight. The club is long and forgiving, but not nearly as long and forgiving as those monster 460cc game-improving drivers that are out there. If you are looking for more distance and a driver that you can't slice, then move on from this. However, if you are an aficionado of feel and workability, this is your driver. The impact feel is very soft with tremendous feedback. The look at address is very pleasing. It almost looks like you have a 3-wood in your hands. And the adjustable hosel makes it adaptable to every swing.